Like a lot of phrases in the “Proptech” industry, Virtual Reality has been a buzzword for some time now. Technologies like “Blockchain” and “Artificial Intelligence” have suffered a similar fate. The problem is that some people don’t fully understand these technologies, yet claim that it will solve all problems. A lack of in-depth technological and real estate industry analysis in #Proptech, has led to knowledge gaps within the industry. Imagine people kept saying that real estate was only about buying and selling family homes. Annoying, right? Well, the same applies to those working in software development in Proptech. When we show our product, people often say “Oh, we have a VR solution already” . It can be difficult to explain that there are a wide variety of virtual tours for different needs and budgets and that the technology is continually getting better. So what is Virtual Reality and Virtual Tours? How can they be used in the Real Estate industry? This section may seem technical and tedious, but I would contend that people who want to succeed in the rapidly changing environment over the next 2-5 years need to sit down and learn technical details that will affect their work – like they would any other area of Real Estate. If not, they should be prepared to be hoodwinked into buying inferior technology and, eventually, getting left behind by their competitors. Virtual Tours and VR are different things to different people. Tech nerds spend hours arguing over what is and isn’t VR. I don’t want to get too far into semantics. Instead I wish to focus on what is considered to be a Virtual Tour and VR. an “immersive” element – this immersion would normally be by way of a VR headset – playing a computer game on a computer monitor, for example, would not be generally considered VR. 1. Interactive Content that is viewed on a flat monitor or screen, such as a mobile phone or laptop. 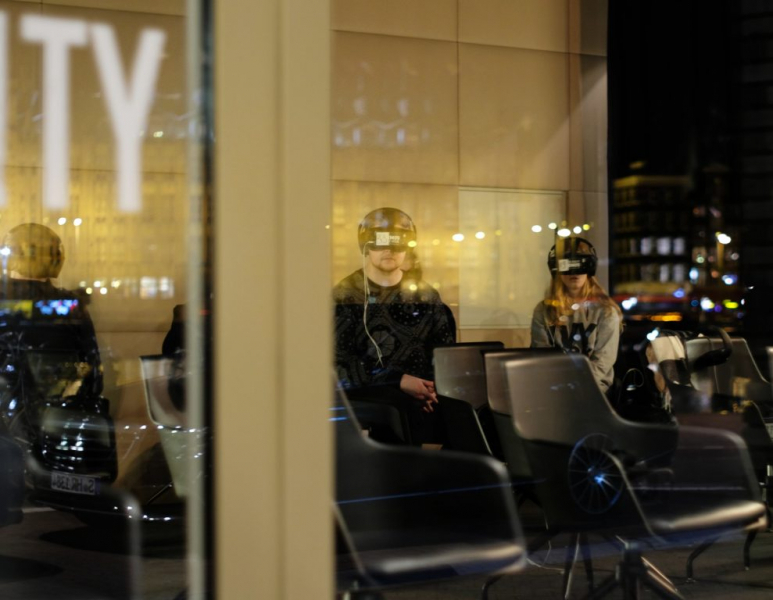 It would not be sufficiently "immersive" to come within the VR definition. 2. 360 videos are a "normal" video, with a start and finish time, but where the user can turn around and see different angles of that video. So it's like viewing a video from the inside of a sphere, instead of a flat screen. Most people would agree 360 video is not VR. The user has no "interaction" and can't determine their movement within the scene. Remember: just because you see something on a VR headset, it does not make it “VR”. “Virtual Tour” is defined as “a simulation […] composed of a sequence of videos or still images”. So this is a broader definition, and means that the a Virtual tour can be either VR, a 360 video or interactive content viewed on a screen. So in the same way that the phrase “Real Estate” does not only include buying and selling homes, the phrase “Virtual Tours” is a broader term that includes various types of technologies that Real Estate companies can use to show a property. Note: VR is one of the technologies that come within the definition of Virtual Tours. Virtual Tours can be used to show built property, but also to show developments at the pre-completion stage. This distinction is very important. These are very different sectors of the the real estate industry. Also, the technology used to create each virtual tour is very different. The creation process for Photographic Virtual Tours will require property visits and usually someone to attend to the photographer who will scan the property. CGI Virtual Tours, on the other hand, have a completely different production process. The content creation team will need to receive information regarding the project from the developer’s team on the final project. As most people who have worked in the development process know, plans change, and so the process of changing designs should be well defined before CGI content creation is commenced. 2. Virtual Tours using 360 v. 3D technology. Virtual Tours of Built or Unbuilt Property can be presented via 360 or 3D technology. The difference is quite difficult to explain without getting into too much technical detail. I’ll try to simplify as much as possible. - 3D Virtual Tours: the main difference between 3D tours and 360 is that the 3D version360 Virtual Tour Example allows the user to get far superior sense of size and perspective. Like the traditional architects models, the user can look at the outside of the property, an overview of the property and inside the property, understanding the scale and dimensions. The user can move around the property and can make movements within the viewable space. 3D most importantly informs users where space lies, height, and positioning of rooms, floors, etc. - 360 Virtual Tours use static 360 images that have a very wide angle view of the scene in question. It’s like a panorama image that takes in the field of vision that you would see if you spin around making a spherical image. Here is an example of a 360 photo. As you see, you can only zoom in and out, but you cannot change your location in the scene, like walking behind a pyramid. To make a 360 Virtual Tour of a property, various separate 360 image files, independent of each other, have a link to “jump” from one to another. If the user clicks on a button in the tour, they can jump to another spherical 360 image. This jumping means that it is not “frictionless” – a word that people who work with User Experience use a lot. The jumping to very different scenes can confuse the user, who can get lost easily. However the technology used to make these virtual tours has been around for a long time is an economical solution that allows for high definition imagery. For higher end projects, most tech-savvy users would know that this technology is dated and this could be counter-productive for a brand in this market segment. A 3D solution would be recommended for higher end projects. 360 photographic virtual tours are very different to 3D photographic virtual tours. The cameras used to capture 360 content are very different to those used to capture built property via 360. A 3D camera is more advanced and complex. It takes many photographs that the connected software later “stitches” together. It also has laser or infrared sensors that can measure the dimensions of the property to give the model depth and dimension (this is the 3rd dimension of 3D). For CGI 3D tours, the modeling team need to understand both the proper dimensions and visual impact. Floor plans, sometimes BIM models and design work will be used with 3D editing software to create an environment that can give the user a more realistic experience. - An Online Virtual Tour is where the tour file is stored in the cloud and is viewable in any location with an internet connection. It can be viewed on a computer or mobile device by clicking on a link. The link would open your browser (such a Chrome, Safari, Microsoft Edge or Firefox) and a small file is downloaded to the browser, similar to the way that you would with a Youtube video. The user can then view and interact with the tour like one would a normal webpage. The user can click on a button on the screen to make movements, zoom in and out, etc. - An Offline Virtual Tour the tour file is usually stored on a very high powered specialised computer, connected to a VR headset or a touch screen. For the more technologically advanced 3D CGI Tours there is a big difference between online and offline Virtual Tours. Most Photographic Virtual Tours are available online these days. For CGI Tours, 360 Tours are usually online (example here). 4. So what is WebVR? WebVR, as its name suggests, is VR that is available via a web browser. WebVR is a recent browser technology that allows the “immersive” and “interactive” elements that are required to be considered VR. The way this used to be done was that the user opens a link on their phone in WebVR mode and puts the phone into a google cardboard or more recently a google daydream device or something similar. Putting a phone into a device will become less common with the introduction of the Standalone VR headset. “Standalone”, basically means that the VR headset does not need to be plugged into a powerful computer that does the processing – this was required by most VR headset (Oculus Rift, Hive, etc). The file is downloaded to the headset via the internet (it would therefore be considered “online”) processing of the images is done on the computer in the headset, or the processing is done in the cloud. The race to have the first mass produced standalone headset on the market was recently won in 2018 by Google and Lenovo with the Lenovo Mirage Solo with Daydream. Anybody who gives you a definitive answer on this is being “economical with the truth”, to say the least. What I can say is that for now there are still a lot of problems with VR for the mass market. VR still has not managed to break into the mainstream, and would still seem to be the domain of Gamers. I would argue that the reason for this in the area of Proptech is because of the fundamental the impracticality of the hardware as it currently stands. Not only do I mean that some people don’t like putting on something that looks a bit ridiculous, messes their hair, allows them to “experience” previous user’s sweat or where they feel disorientated or nauseous. If people are not wearing a VR headset when sitting on their sofa, and would have to go and dust off the headset that they got for Christmas in the shelf in the spare room, then you have already lost your new customer. Conclusion: What are the best Virtual Tours in Real Estate? This will depend on the project and property in question. However, real estate professionals must realise that we are now getting beyond the gimmicky, “Oh wow, that’s cool” fad of VR in Proptech. It’s time to look at Virtual Tours in relation to what problem needs to be solved. There needs to an very informed decision as to when VR should be considered a viable solution. It is telling that CBRE acquired a CGI 3D Virtual Tour Company with an online focus in 2017 for a large, undisclosed sum. Most notable is how little their focus was on VR. CGI Virtual Tours: Disclaimer: I am very biased towards Online CGI 3D Virtual Tours. This is because I think these are currently the most effective virtual tours for new developments. This is why our company focuses on this with our product the Captate Tour, although we can provide CGI virtual tours in any format (360, offline, even 3D animation). Photographic Virtual Tours: the solutions available are many. Here is a good in-depth comparative analysis of some of the solutions available. I owned a Matterport Camera a few years ago, if I was an agent in the market looking for a Photographic Virtual Tour, I would probably go with GeoCV. I do not have any commercial connection to any of these companies.